Godly Play creates a space for children to learn the art of worship through story-telling, singing, contemplation, and creative response. Inspired by a Montessori approach, Godly Play takes seriously the spiritual curiosity of children and encourages them to engage biblical stories with openness, wonder, and imagination. Children discover ways to connect key bible stories to their own lives and experiences. Children begin Sunday Worship with their families, and then following the Children’s Sermon, our trained teachers lead them up to the second floor Community Room for Godly Play. They rejoin the congregation for the conclusion of Sunday Worship. There are two GIFTS classes: one for grades 2-4 and one for grades 5-7. GIFTS 1 Students learn the Bible from Genesis to Revelation in a three-year cycle in sessions led by pastoral staff and lay volunteers. They learn stories from the Hebrew Bible in the fall, the Gospels in the winter, and the Epistles in the spring. Students interact with scripture through creative and thought-provoking activities that bring them into the life of the bible stories. These activities combine story-telling, play-acting, discussion, and artist expression. GIFTS 2 curriculum gives students the foundation they need before they enter Commitment class. In Commitment class they will ask serious and important questions about what it means to make a commitment to God and the Church. In Gifts 2, they learn what it’s meant in the Bible, through history, and for others. One year, they learn how to read the Bible through different lenses, another Church history, and another the Christian way of life. GIFTS is short for Grace, Inspiration, Faith, Tradition, and Service. GIFTS transmits the values and skills of leadership, worship, mission and service, and hospitality that are hallmarks of mature faith. Service projects support are ongoing work with the Food Pantry, Jackson Park Hospital, and St. Martin de Porres Shelter. 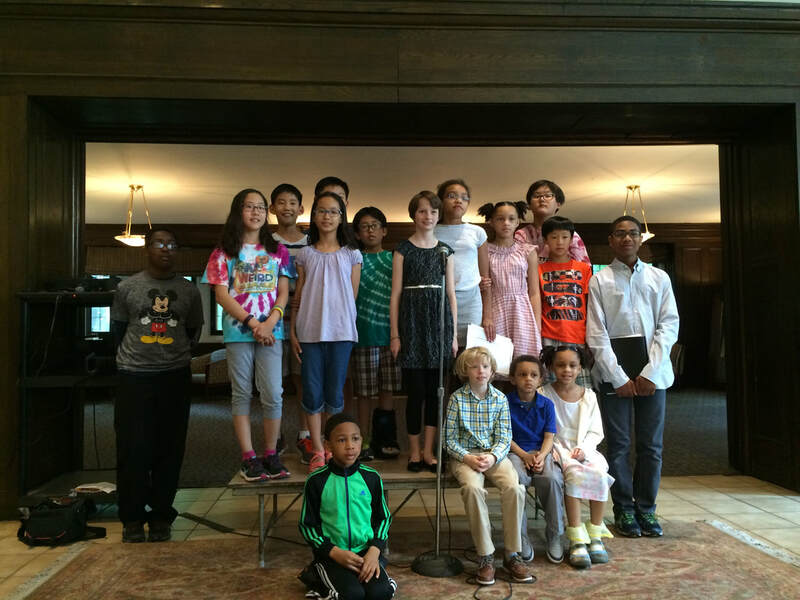 Our children raise money every Spring through Animal Poetry for Heifer International.